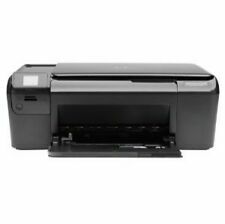 Available for sale is a Mitsubishi CP9550DW Professional Dye Sublimation Sub Photo Printer - BTW. This item is fully tested and working. It includes the plastic ink tray, and 6" (for 4x6, 6x8 and 6x9 rolls) plastic paper reels. Producing up to 93 labels a minute, you can have labels ready in seconds. You can conveniently print out labels from Microsoft Word, Excel, and Outlook with the supplied P-touch Editor software. Versatile printing. 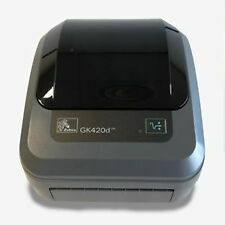 Samsung SPP-2020 Digital Photo Thermal Printer . Condition is New. Has been in the house for a while but has never been used. Everything is in the box. 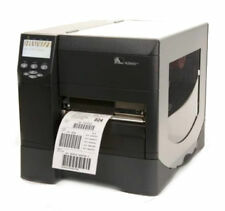 The Brother QL700 is a compact and professional label thermal printer that is simple and handy for all labeling needs. 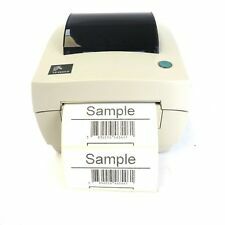 The Brother Label thermal printer has a variety of features such as eight different typeface styles, three different sizes of typeface, a 12-character LCD display, and two-line print capability. Revolutionary futurePRNT Receipt Design Software. High Throughput: 28 RPM (Receipts per Minute). Earned Energy Star Qualification. All Accessories Included. New listingBROTHER QL-700 Label Printer - Used but in great condition - Original box! 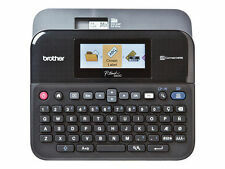 4.5 out of 5 stars - BROTHER QL-700 Label Printer - Used but in great condition - Original box! 53 product ratings53 product ratings - BROTHER QL-700 Label Printer - Used but in great condition - Original box! 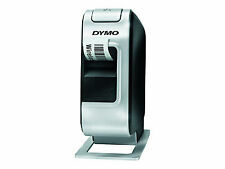 Dymo LabelManager Wireless Plug and Play D1 Label Maker PC Mac Rechargeable . Bought removed from box and found it not to be suitable then forgot to return. It is listed as used but i have only opened the box and not used it. Itscompact size belies its big capability forperformance, with the capacity to produce up to93 labels a minute. ‘P-Touch Editor Lite ’ is pre-loaded to theprinter itself so there’s nosoftware installation required forPC orMac. DYMO XTL 300 24mm PC-Connected Handheld Industrial Label Maker Kit. All our products are new and unused, a few may be ex display but in 100% as new condition. Wireless Plug and Play Label Maker for PC and Mac. The first wireless label maker from DYMO - easy to use and easy to share. With simple plug, type, print functionality, PLUS built-in wireless capability, this is a label maker anyone can use and everyone can share. Sony DPP-FP30 Digital Photo Thermal Printer. Condition is Used. Dispatched with eBay delivery – Shutl 1 day. Still in great working condition with some minor external scratches as shown. 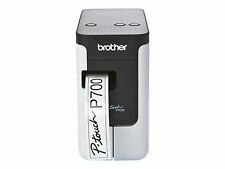 The Brother PT-7100 prints durable labels on demand with 3.5, 6, 9 & 12mm tape widths. Over 35 common electrical and audio/visual related symbols are included, making this a perfect introductory label printer for any professional electrician. Canon SELPHY CP1300 Colour Dye Sublimation Thermal Printer. Canon SELPHY CP1300 Colour Dye Sublimation Thermal Printer 2234C010. Canon SELPHY CP1300. Vibrant and durable superb-quality prints are ready in less than 1 minute with dye sublimation technology. 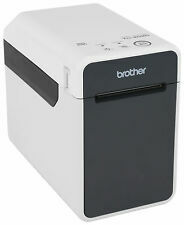 Brother MW-145BT Label Thermal Printer Brand New! This printer can easily sit on a desktop or counter top and is perfect for multiple. Includes both DIrect USB connection and Bluetooth connectivity. Imprimante d'étiquettes thermique USB et BLUETOOTH neuve. It supports 23-80mm thermal paper, thermal label and thermal sticker. 23mm - 80mm wide printing paper width range; work with thermal paper roll, thermal sticker, thermal label & etc. Print Head Temperature Sensor: Thermal Sensitive Resistance. WHAT'S INCLUDED: - Printer ONLY. WHAT'SNOT INCLUDED: - Waste paper tray / Standard kettle power lead / Other accessories / Cables / Software / Installation advice etc. SOFTWARE (if applicable): -. This product has been tested and is fully functional No power supply included. Designed for convenience, speed and ease of use ‘P-Touch Editor Lite’ is pre-loaded to the printer itself so you won’t need to install any software for PC or Mac. With a terrific quality of up to 300dpi and an automatic label cutter built in you will be creating great looking labels as quick as you need them. 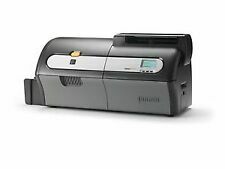 BRAND NEW Epson TM-T70II (032) Thermal POS printer - C31CD38032A0 FREE POST !! MODEL TM - T70II -032.